Just want to thank God for his grace over me and my family as well as business. 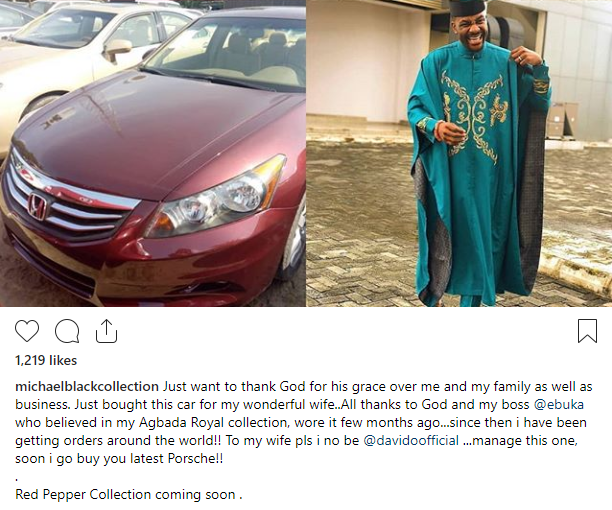 Just bought this car for my wonderful wife..All thanks to God and my boss @ebuka who believed in my Agbada Royal collection, wore it few months ago…since then i have been getting orders around the world!! To my wife pls i no be @davidoofficial …manage this one, soon i go buy you latest Porsche!! 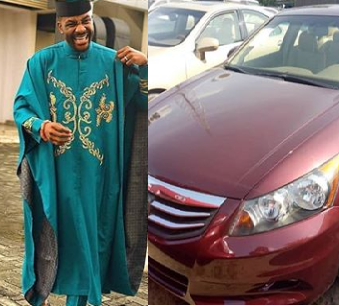 0 Response to "Designer Hits It Big And Buys New Car For His Wife After Ebuka Wore His Design And Made Him Go Viral"